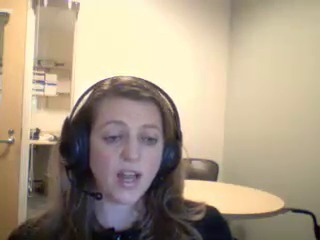 Michaela Bowden (CEMOP Associate Director, Dana Farber Cancer Institute) presents the utility of Biomek automation (library prep, etc.) 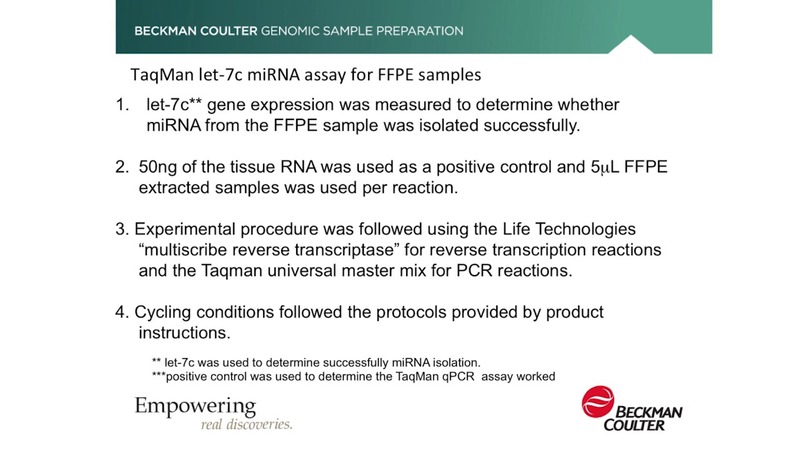 and using biopsied/low RNA-input (FFPE) samples for clinically relevant results. 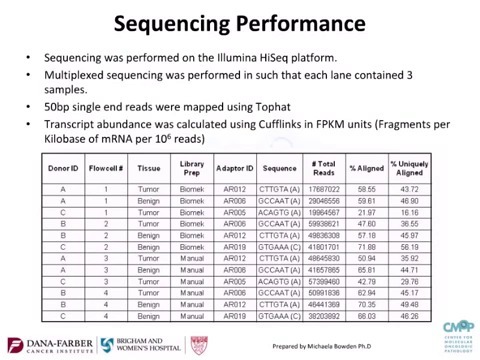 Includes overview of the RNA-Seq workflow and Illumina's Script-Seq Complete, TruSeq Stranded mRNA kits. 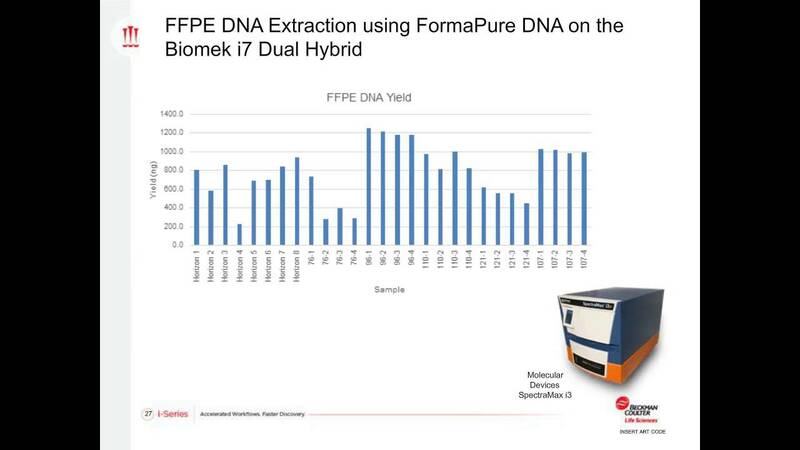 Learn how the Agencourt FormaPure kit supports successful RNA and miRNA extractions from FFPE tissue.Use FormaPure to isolate microRNA, RNA, DNA and total nucleic acid and suppor downstream applications including qPCR/q-RT-PCR, microarray and next-gen sequencing. 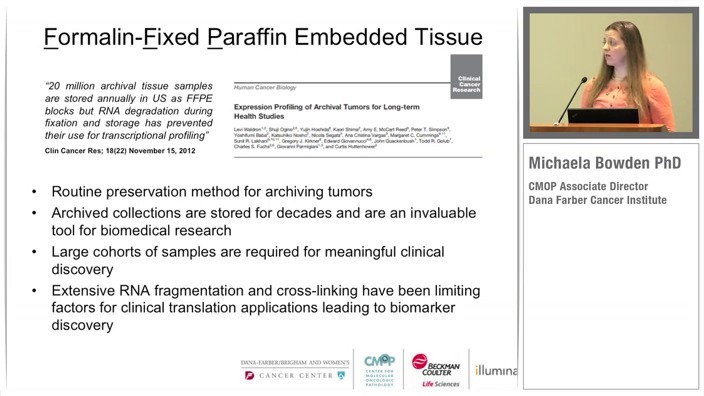 Michaela Bowden (Scientific Researcher, Dana-Farber Cancer Center) presents an automated RNA-Seq library prep for FFPE tissue samples on the Biomek FXP liquid handling platform. 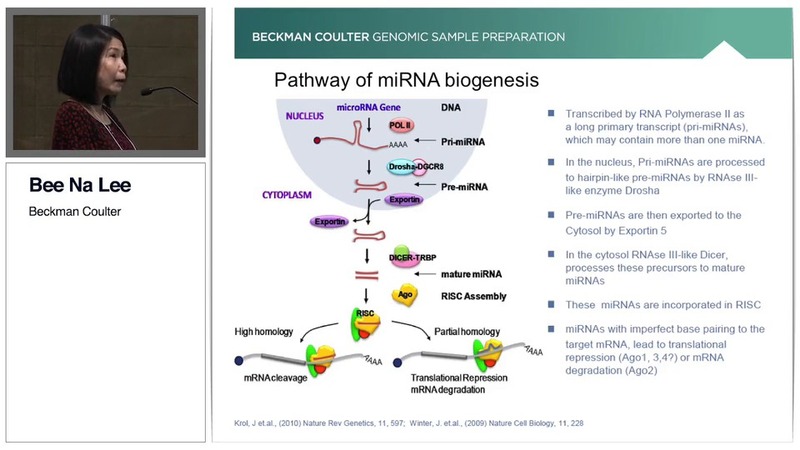 A discussion of automating the preparation of RNA-seq libraries using the RNASeq kit with formalin-fixed, paraffin-embedded samples.This presentation represents part of a collaboration between Beckman Coulter and the Dana-Farber Cancer Institute. Streamline your workflow with Phospho Epitopes Exposure Kit (PefFix-EXPOSE). Minimal sample manipulation as well as a sensitive and highly-reproducible results. One standard procedure and includes all needed reagents to permeabilize and fix samples. Works with whole blood/FFPE samples. 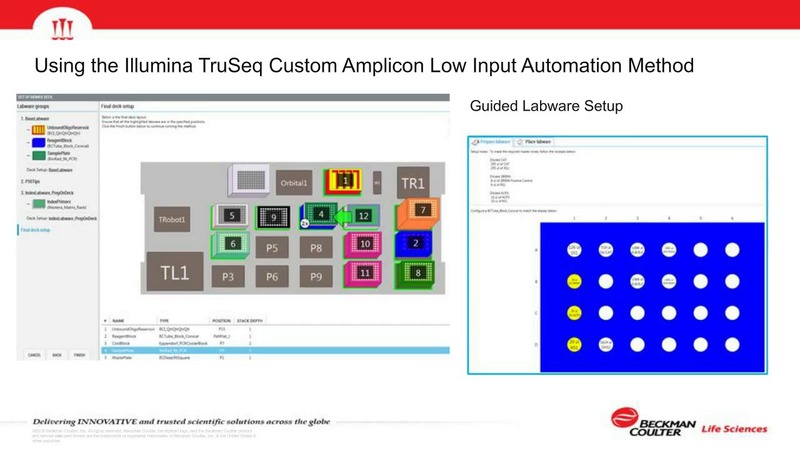 Final in a three-part educational Small Labs webinar series and covers challenging samples and niche applications including an overview of FFPE-derived RNA samples, cell-free DNA whole genome sequencing, targeted amplicon sequencing and HLA typing applications.